It’s time to be our guest. 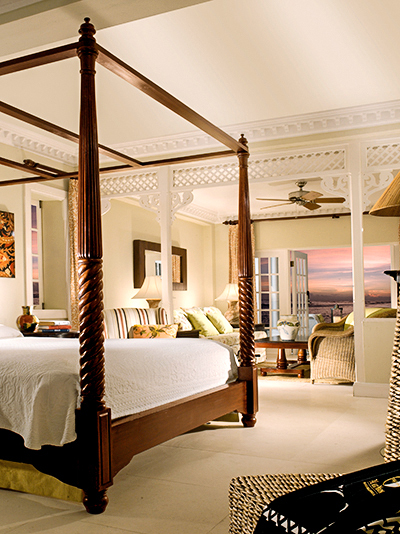 With more than 900 properties in our exclusive collection, your stay comes with a host of special benefits. Explore some of our favorite hotels around the globe to plan your next getaway with your closest loved ones, an escape with your favorite friends or a solo adventure, and let us reveal all the privileges you’ll receive. These heavenly beach hotels provide an escape from the every day, further enhancing the world-class waterfronts on which they rest. Laze your days away on a sugar-soft stretch of Bermuda beach as turquoise waves lap gently at your toes, and plunge into the glittering waters off Mexico’s Yucatán Peninsula where mysterious underwater caves linger beneath the surface. This is truly paradise found and we’re eager to take you there. Retreat to the ultimate Caribbean family resort, where spacious beachfront accommodations, special kid programs, a renowned spa, seven restaurants and bars and exciting water sports offer something for everyone in your group. Contact us today to reserve your next family getaway and receive additional exclusive amenities to make your time together even more memorable! 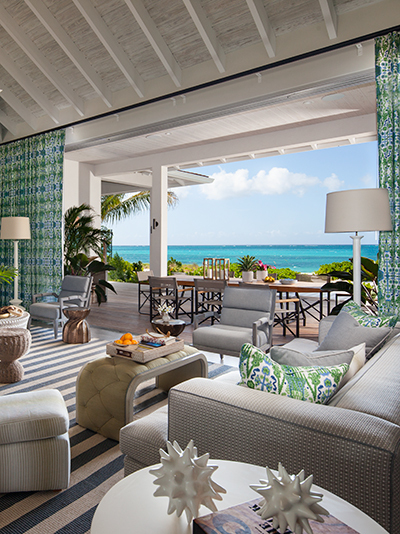 The world-renowned Grace Bay Club is situated in the heart of Turks & Caicos’ award-winning Grace Bay Beach, and features all oceanfront suites and dining. The resort is divided into three sections, each with its own pool: the adults-only hotel; the family-friendly villas suites; and the uber-luxe estate, with exclusive amenities. For those who prefer luxury resort amenities with home-like privacy, freestanding private beachfront villas located seven minutes down the beach offer up to five bedrooms, the fifth bedroom in a detached cottage. A convenient two-hour flight from most east coast gateways, this stunning Bermuda resort is an ideal vacation destination year-round. Spend time together with your loved ones on a private boat excursion, take a spa day at the Willow Stream Spa or sip on a signature martini at Jasmine Lounge. Contact us today and we’ll help everyone in your group find the perfect balance between relaxation and recreation. 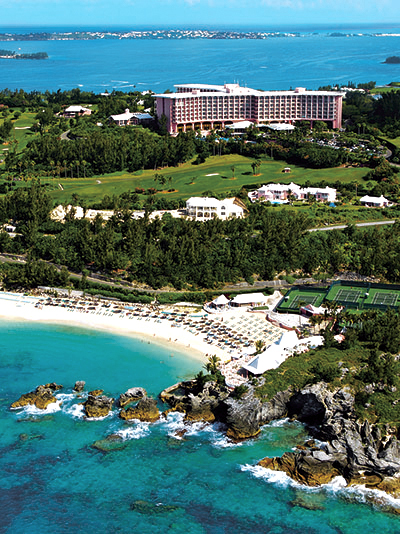 Set on a breathtaking 100-acre estate, Bermuda’s premier luxury resort, Fairmont Southampton features the island’s most extensive recreational facilities with the Turtle Hill Golf Club — an 18-hole, par 3 championship course, private tennis and beach clubs, diving, snorkeling and the energizing Willow Stream Spa. The resort features nine dining options, including Oceanside dining at Ocean Club, as well as the Four-Diamond award-winning Waterlot Inn. Enjoy exclusive access to the resort’s complimentary ferry service to shops, restaurants and the nightlife of downtown Hamilton. 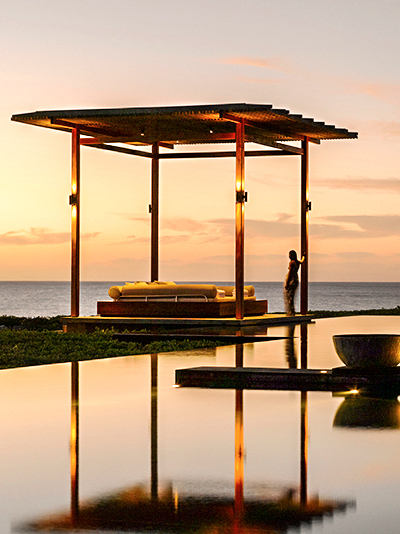 Comprised of contemporary pavilions and suites, plus fully serviced, private villas ranging from three to five bedrooms, Amanyara provides the utmost privacy and tranquility. The restaurant, beach club and bar serve Asian and island inspired cuisine with ocean views or pool-side lounging salas for sunset watching. The infinity pool, library or sun loungers are ideal places to relax as is the spa, which features an array of treatments, including massages and more. Guests of all ages can explore the resort’s natural wonders at the new Nature Discovery Centre. 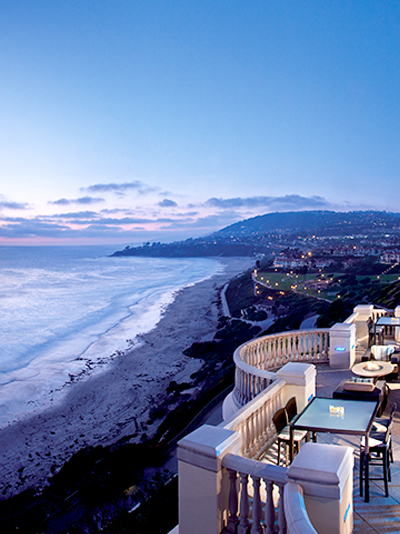 Perched atop a seaside bluff, surrounded by panoramic views of the Pacific and the sandy shores of Salt Creek Beach below, The Ritz-Carlton, Laguna Niguel is a coastal haven of new experiences. 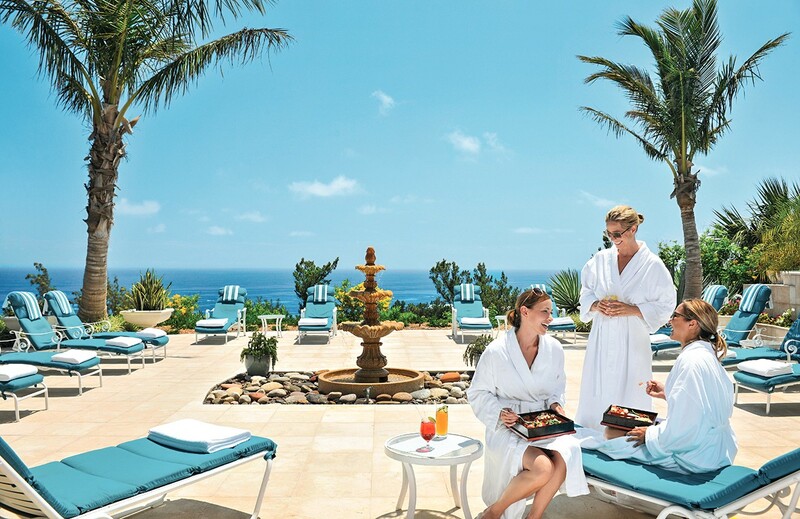 Located halfway between Los Angeles and San Diego, along the coast of Dana Point, the resort awakens the senses with its vibrant beachfront locale and celebrated Five Diamond service. Sprawling shoreline vistas create awe-inspiring memories from the moment of arrival. Dine on Southern California coastal cuisine, explore your surfside surroundings on an eco-adventure, or be soothed with a spa escape. The California coast is calling. Overlooking the ocean and Playa Grande beach from its cliff-top setting, Amanera (Sanskrit for peaceful water) is surrounded by jungle and framed by dramatic mountains. The 25-casita resort lies alongside the lauded fairways of Playa Grande Golf Course and presents an Aman Spa and Aman Clubhouse. Originally designed by golf legend Robert Trent Jones, Sr., Playa Grande Golf Course has been fully renovated by his son, Rees Jones. An idyllic base for discovering the north coast, Amanera’s experiences include kite-surfing, merengue dancing, deep-sea fishing and horseback riding on the beach. 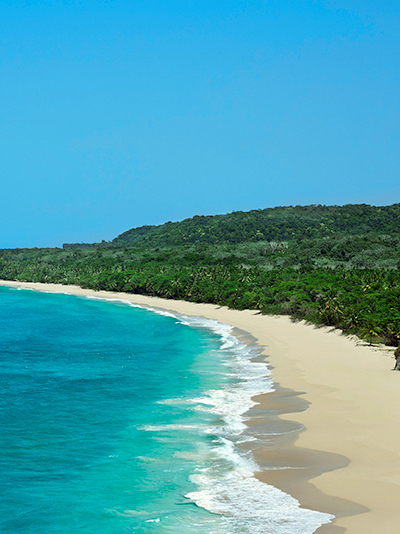 It is a 60-minute drive from Puerta Plata Airport. Bordered by two miles of private beach, Half Moon, A RockResort is paradise found. The resort features beautifully appointed rooms and suites as well as stately private villas staffed with a cook, butler and housekeeper. From championship golf to dolphin encounters, horseback riding, snorkeling or playing a game of tennis, the resort offers an array of activities in which to indulge. Additionally, the award-winning Fern Tree, A RockResort Spa® is a majestic oasis of pampering and rejuvenation. 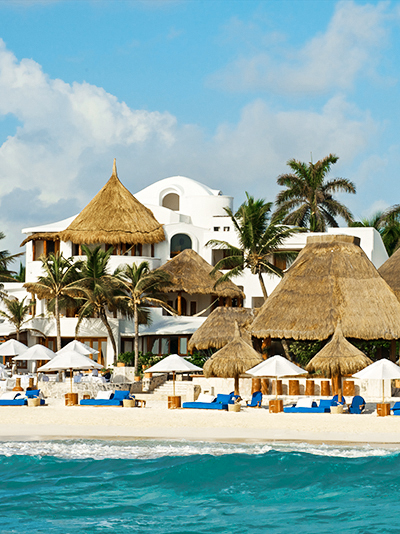 Belmond Maroma Resort & Spa is pure escapism with a touch of Mayan magic. This paradise is one of the Yucatán’s hidden gems, a haven of well-being where you can start the day with yoga and end with a session in a traditional temazcal sauna. Spend lazy days in the ocean and at poolside restaurants or stroll through flower-filled gardens where parrots and butterflies perch. Explore some of Mexico’s great heritage sites, dive in mysterious underwater caves or shop until you drop in Cancún. You needn’t cross oceans to find luxury within easy reach — and you might even gain a deeper appreciation for America’s unexplored corners. Marvel at the sky’s jewel-toned sunset from your pueblo-style suite in the Southwest, or stroll the same cobblestone streets as the Founding Fathers between bites of Boston’s legendary lobster rolls. We’ll show you that some of the world’s greatest treasures lie closer than you think. 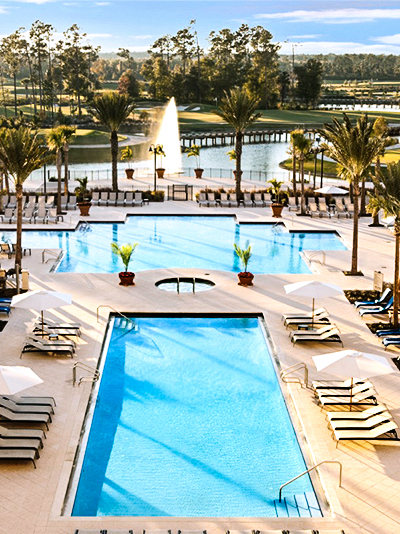 Waldorf Astoria® Orlando is a premier luxury resort located inside the gates of Walt Disney World® Resort and nestled within a pristine 482-acre nature preserve. The hotel offers lavish accommodations, impeccable service and world-class amenities including the Waldorf Astoria® Spa, a Rees Jones-designed championship golf course awarded Golfweek’s “2011 Best Courses You Can Play,” two pools with private cabanas and six dining and lounge options including an outpost of New York’s famed Bull & Bear®. 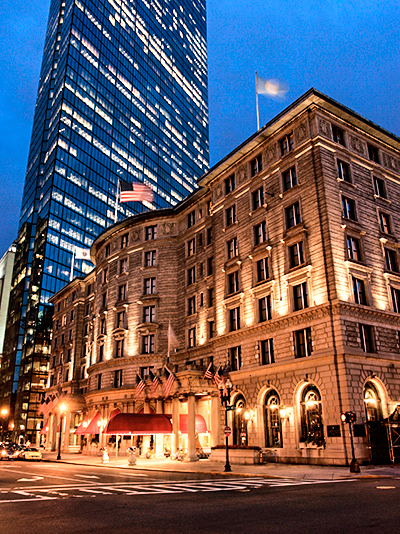 Fairmont Copley Plaza has been a symbol of Boston’s rich history and elegance since its gala opening in 1912. Centrally located in beautiful Back Bay, this luxury hotel is just steps from many popular historic sites, as well as the celebrated boutiques on Newbury Street. Dedicated staff deliver incomparable hospitality, impeccable service and attention to detail to ensure guests enjoy a perfect stay. With the completion of an extensive renovation of each of the hotel’s 383 well-appointed guestrooms and suites, the restoration of the ballrooms and public spaces, and the addition of a contemporary, rooftop health club, Fairmont Copley Plaza shines more brightly than ever before. 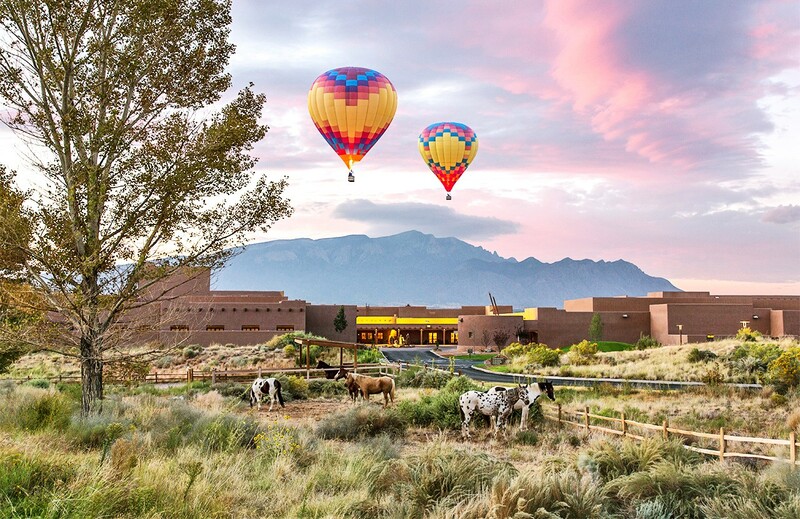 Experience adventure that feeds the soul at Hyatt Regency Tamaya Resort & Spa. Located near Santa Fe, every acre of this stunning New Mexico resort reflects the rich history and culture of the Tamayame people. 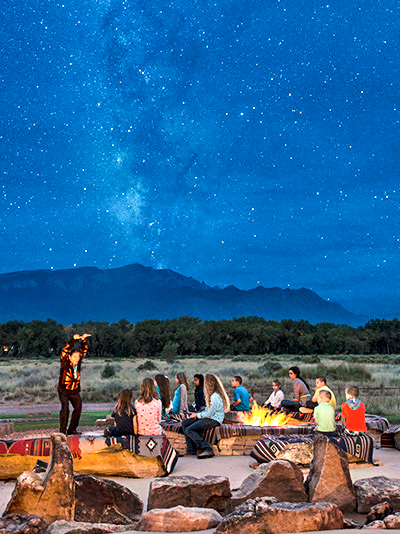 Imagine your family splashing in one of three heated pools, riding through gorgeous mesas on beautiful rescue horses, soaring through the air in a hot air balloon, relaxing in the Tamaya Mist Spa or enjoying Native American dancing and storytelling under the stars. Breathe new life into the Old World with properties that place you in the center of Europe’s most historic cities. In Italy, the charming gondoliers of Venice paddle just beyond your suite’s full-length windows — or sleep in the shadows of every major Florentine landmark. You’ll even assimilate into French société at a Parisian hotel with a 91-year legacy for a visit that’s richly authentic. The five-star Athenaeum is located in Mayfair, overlooking Green Park and the spires of Buckingham Palace. Bond Street and Harrod’s are a short stroll away for shopping, as are London’s best-loved museums, galleries and theatres. 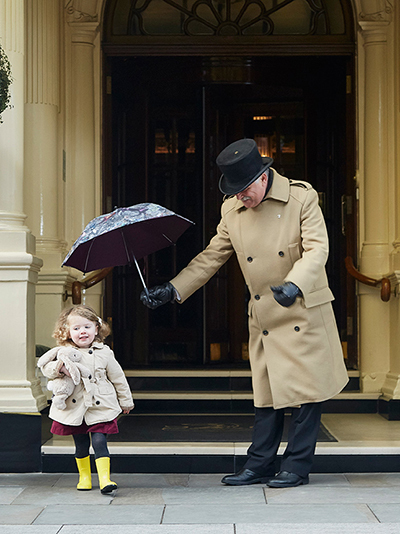 The modern Art Deco hotel is family-owned and family friendly, with 146 rooms & suites and 18 townhouse residences. Enjoy the spoils of the spa, complimentary Wi-Fi, snacks and soft drinks and children dine for free. May 2016 sees the launch of a new ground floor restaurant and bar in partnership with Michelin-starred chefs, The Galvin Brothers. The hotel’s award-winning afternoon teas are expected to reach new heights. 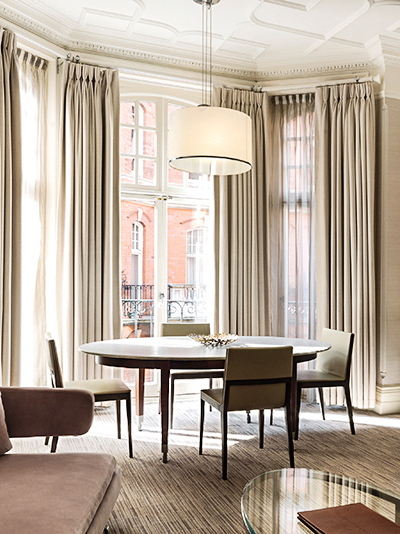 At the beating heart of London’s Mayfair Village, the Connaught redefines the British luxury experience. An expertly judged blend of tradition with the utmost modernity, The Connaught is the insider’s choice for connoisseurs in the art of living well. Consider one of our magnificent rooms and suites, indulge in Michelin-starred dining from Hélène Darroze, savor expertly made cocktails within the Connaught Bar, sink into the comfort and claim of the Coburg Bar, and for a place to unwind, the calm retreat of the Aman Spa is a must. 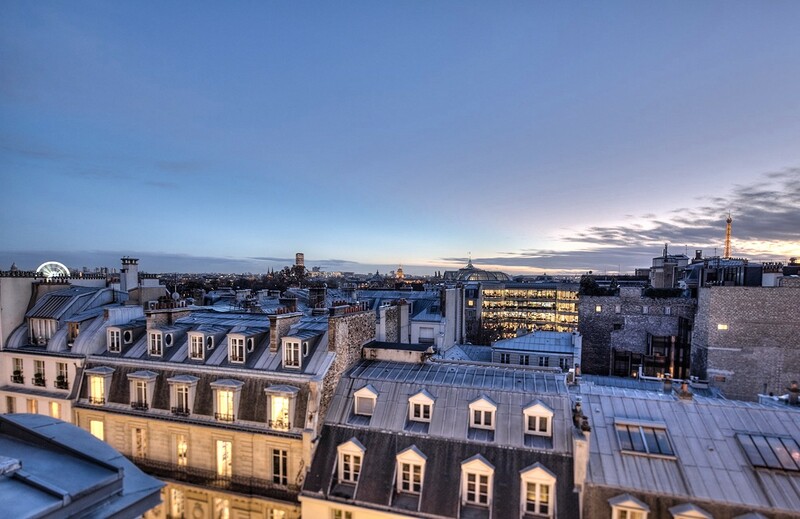 Renowned for its exemplary service, Le Bristol Paris is ideally located on the rue du Faubourg Saint-Honoré, famous for its fashion boutiques and art galleries, only steps away from the Presidential House and the Champs-Élysées. Le Bristol Paris’ 188 bright and spacious rooms and suites, exquisite French garden and Epicure, a gourmet three Michelin-starred restaurant, provide a unique setting for guests from around the world to gather. The hotel also features the Michelin-starred restaurant 114 Faubourg, two bars, seven banqueting rooms, 24-hour room service, a rooftop swimming pool, a fully equipped fitness center and steam room, a hairdresser and Spa Le Bristol by La Prairie. 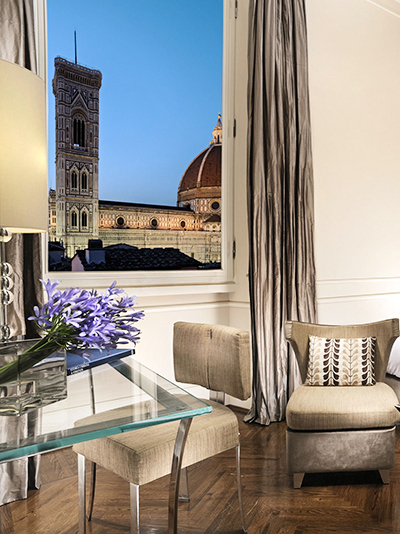 This charming hotel located in the historic center of Florence offers breathtaking views of the Giotto Bell Tower, Palazzo Vecchio and the Duomo, and is within walking distance of the famous Uffizi Gallery, must-see museums, shopping areas and more. Completely renovated in 2013 in a contemporary style, this 96-room hotel feels like home. Experience fine dining at Santa Elisabetta Restaurant or the classic Tuscan Osteria della Pagliazza. All guests enjoy breakfast for two daily. Located on the famed Via Veneto in the heart of the Eternal City, the Hotel Majestic Roma, inaugurated in 1889, continues to be the home away from home for many celebrities, socialites and political figures. The hotel is mere steps away from the financial, political and diplomatic districts as well as the Spanish Steps, Trevi Fountain, Villa Borghese and the elegant Via Condotti with its haute couture shops. The hotel is dedicated to preserving its authentic and classical Italian style while adding modern features for today’s traveler. 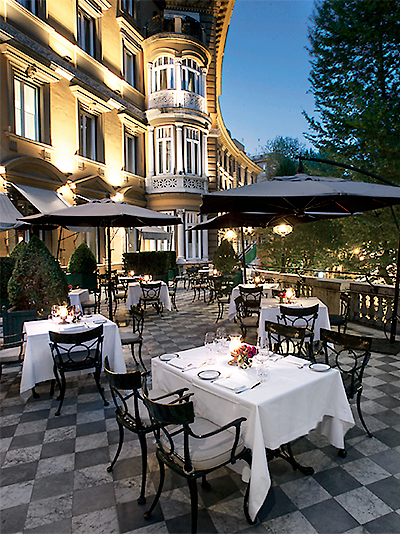 Famous for its style, cuisine and luxurious atmosphere, Belmond Hotel Cipriani is a haven in the heart of Venice. 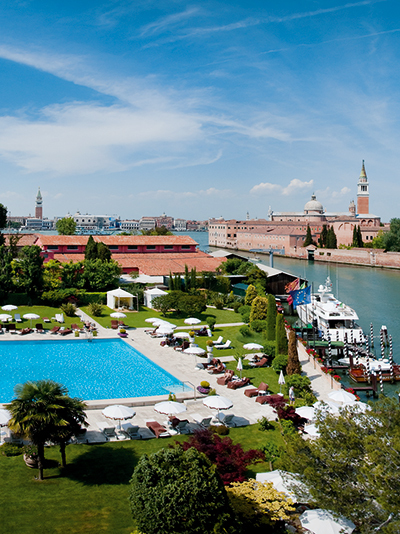 Created to provide the very best of Venetian hospitality, Belmond Hotel Cipriani offers a variety of superbly appointed suites and rooms, with views of the gardens and the lagoon or St. Mark’s Square. Try the specialties of Executive Chef Davide Bisetto at the Michelin-starred Oro Restaurant, dine at the Cip’s Club restaurant for the most extraordinary view of St. Mark’s, or relax with a massage in the Casanova Wellness Centre. Imagine a hotel that goes beyond your expectations by setting the scene in one of the most awe-inspiring destinations. 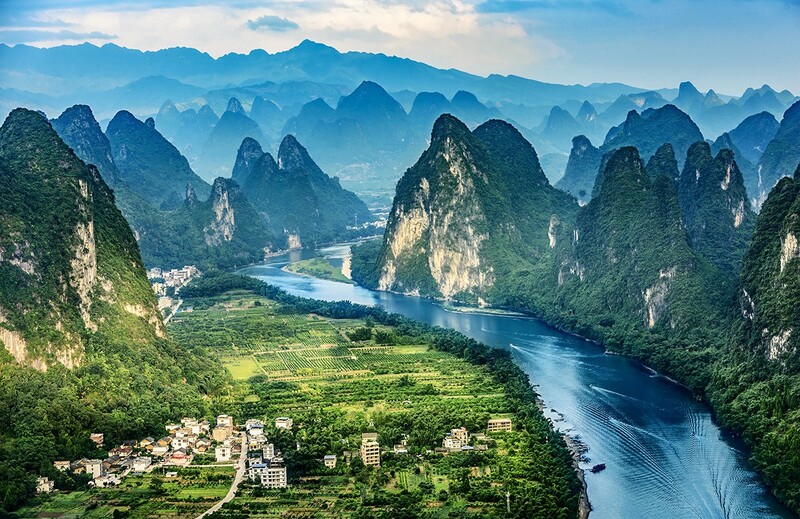 Amidst mist-shrouded mountains and the bubbling of Li River’s crystal-clear waters, the surrounds of Guilin, China are sure to inspire. With such a breathtaking backdrop, expect to be enfolded in beauty at every waking moment. 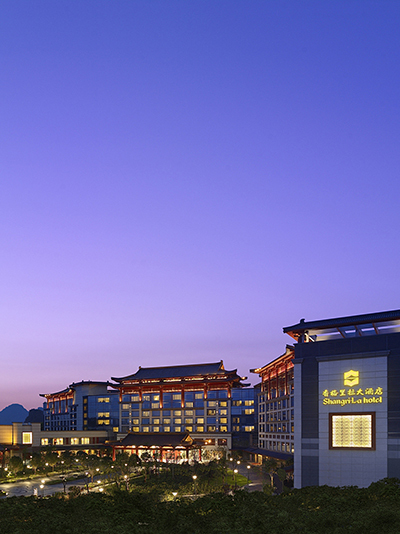 The 449-room Shangri-La Hotel, Guilin is on the banks of the picturesque Li River and is surrounded by a dramatic landscape of unique karst mountains. Tourist attractions are nearby and Guilin’s city center and the Guilin Liang Jiang International Airport are just 10 minutes and 35 minutes away by car respectively. The guestrooms and meeting spaces are the largest in the city. The hotel also features three food and beverage outlets, a lobby lounge and pool bar, health club, spa and outdoor and indoor pools. 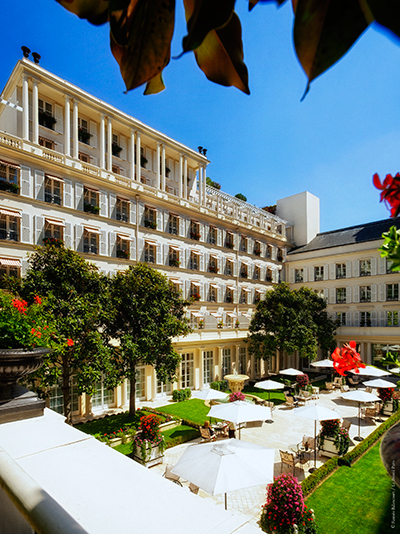 We’ve cultivated the world’s best hotels, resorts, lodges, spas and unique places to stay. Let’s see where your travels will take you next.